Want to be popular? Life of the party? Get them dancing, singing, smiling? You need a guitar. Face it, you’re not strong enough to carry a piano, so you need a custom guitar from LJ’s guitar shop. But but, you say, how do I pick out a design, a style. Where do I start, where do I get inspiration. If you’re drawing a blank, look to your favorite car as your muse, let it be your guide. Got the picture? Good, now describe your vision to LJ at “Amanda’s Patience Ltd”. You’re on your way to popularity, social stardom, go man go! PS ~ You might want to learn to play though. 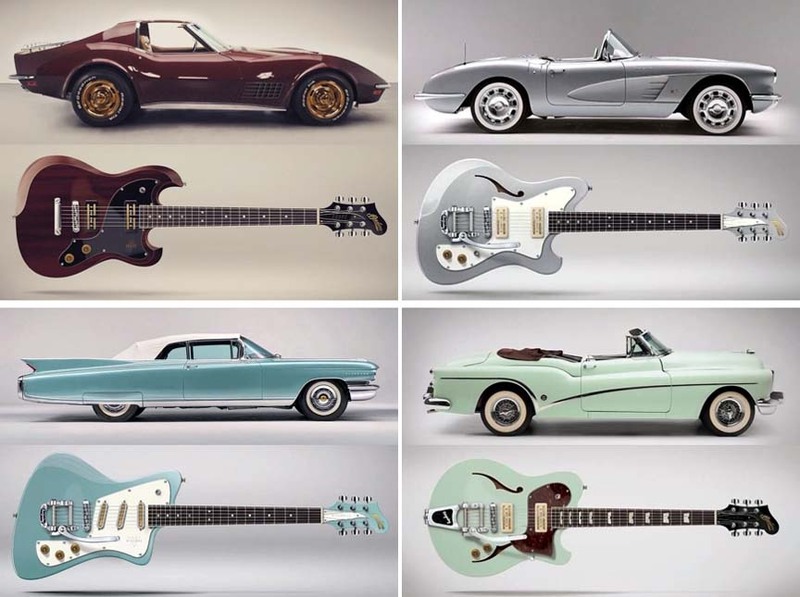 LJ should start buying classic cars to build the guitars from. Sell the pair at a tidy profit. I've always thought the axe under the GT350 looks like a bottle opener. 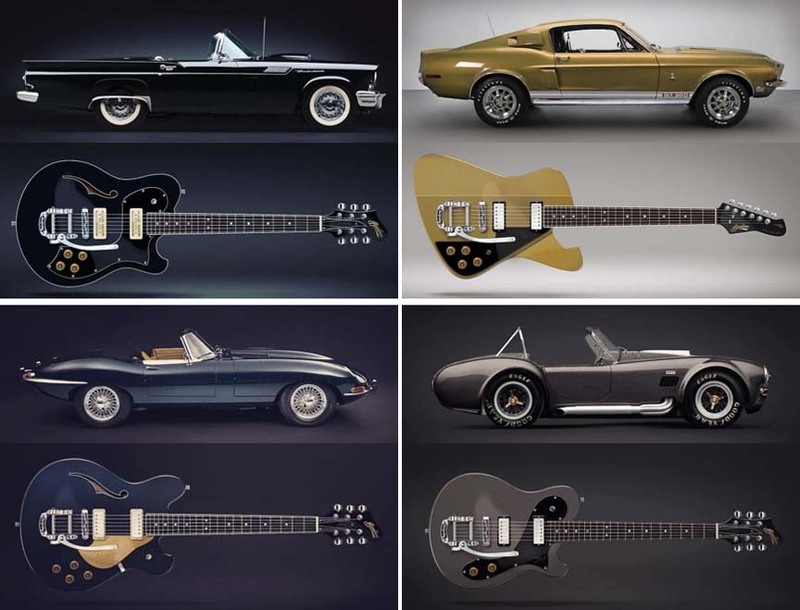 I think a guitar with automotive style would be a seller. Radio knobs for tuners and volume/tone knobs. Chrome heater/AC controls for switch handles. Maybe rig an old roll-up window handle for the whammy bar. Old Corvette scallop paint scheme, red and cream, and bound in chrome, naturally. I can see it, it's beautiful.